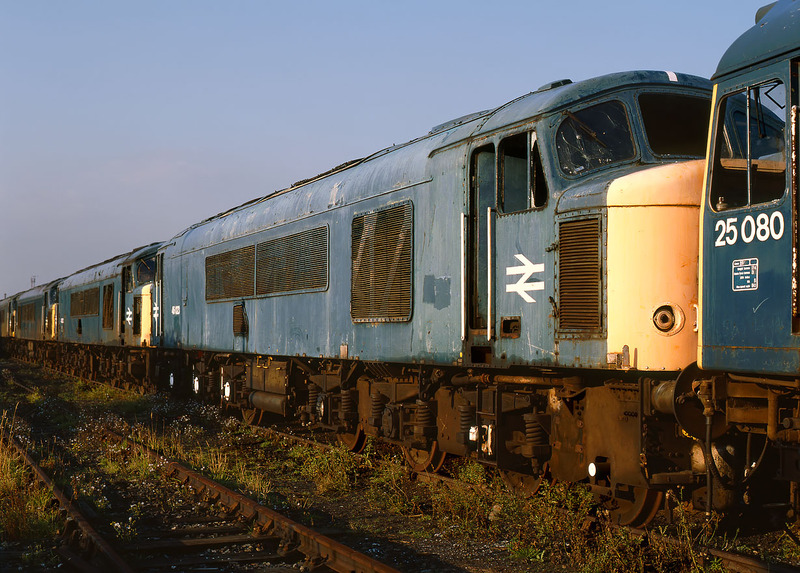 Sandwiched between 25080 and a line of derelict Class 45s, 46023 waits its fate in Toton Yard on 16 October 1986. After a further two years it was towed to Leicester, and then Crewe, where after component recovery, it was finally cut up in 1994. Even amid all the other withdrawn locos at Toton, it has noticeably faded paintwork.